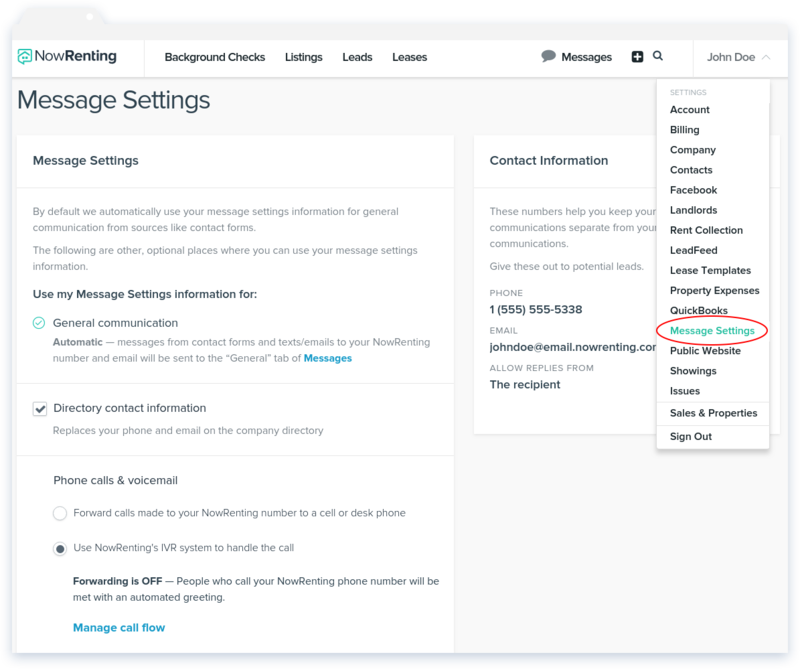 To access NowRenting’s message settings page, navigate to Settings > Message Settings. By default, NowRenting only accepts replies to your emails that come from the email address you sent the message to. If you need to allow other specific email addresses to reply to your NowRenting emails, click the Edit link next to Allow Replies From, and add them to the Additional Allowed Email Addresses fields. Addresses entered here will not be blocked. Certain tools generate a new email address for every conversation thread. If this is the case for you, it won’t be feasible to whitelist all of them. You can turn off NowRenting’s reply whitelist by selecting Allow replies from any email address. For information about changing your NowRenting phone number, see this article.